Traditional metal bracket braces are more common with children and younger people, even though they are a perfectly good treatment option for uneven bite and crooked teeth in adults, as well. However, for your comfort and convenience, we offer ceramic braces, too. Ceramic Braces are one of the different types of braces offered at Woo & Park Dental and they’re as effective as metal braces with the exception of being less noticeable. They’re the most preferred adult orthodontic option among our older patients. Whether it’s for your child, teenage kid, you, or your parent, we’ll discuss all your orthodontic options with you to choose the most suitable and convenient one. Invisalign serves a modern way of getting a beautiful straight smile without the metal brackets and wires. It uses a series of removable, invisible teeth aligners that gradually correct your bite over a number of stages. 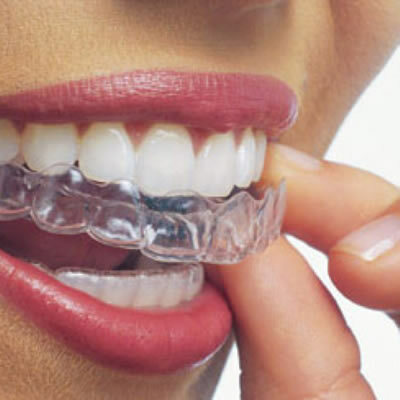 With each stage you get new aligners that will adjust your teeth further, until they reach the desired position. By removing your aligners you will find it easy to brush your teeth, floss, eat and chew, however, you are advised to wear your aligners for the longest time possible, to reach the desired results more effectively. At Woo & Park Dental, we’ll explain your orthodontic Invisalign option further and answer all your questions.